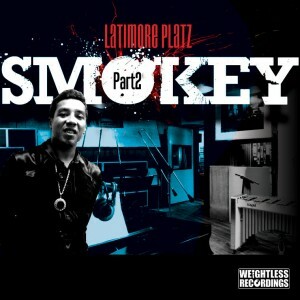 Download “Smokey Part Two” by Latimore Platz now! The second release, Smokey Part 2, by Columbus hip-hop producer Latimore Platz is now available on Weightless Recordings. If you’re a fan of hip-hop production, do yourself a big favor and click on the above cover image and download the goodness. This entry was posted in featured, news and tagged Latimore Platz, smokey part two, smokey robinson hip-hop beats by theweightlessman. Bookmark the permalink.